« NJC issue 5 out! 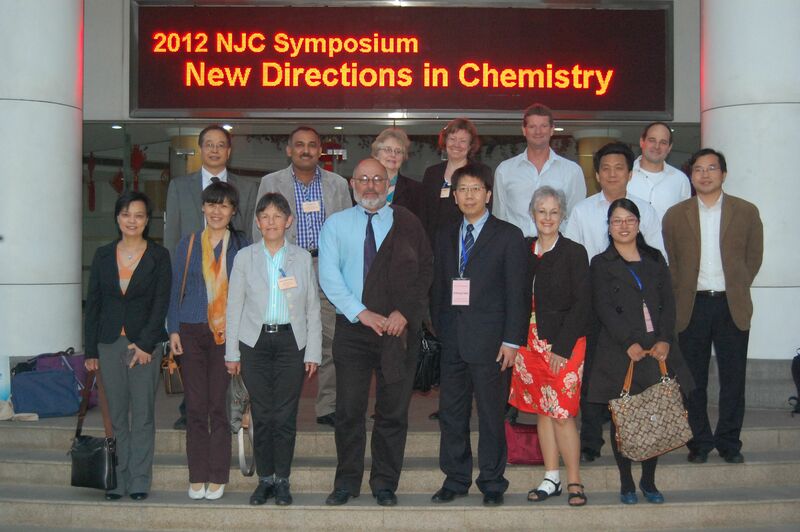 The New Journal of Chemistry team continues its China tour in Shanghai. 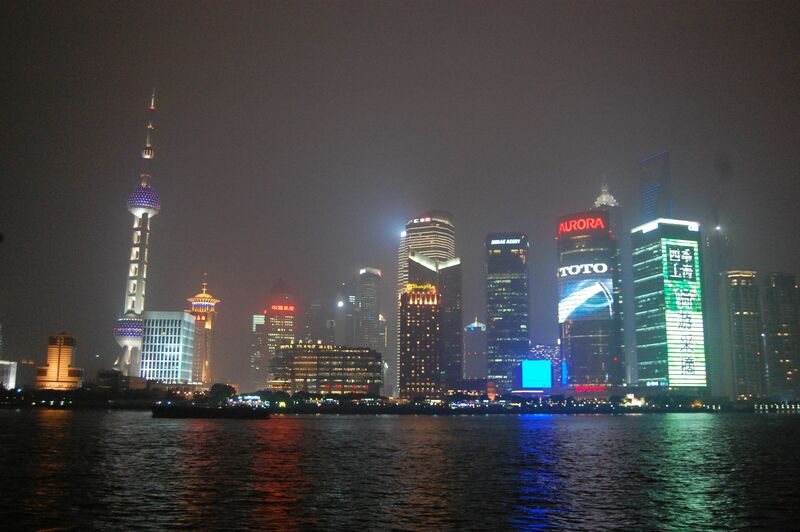 After 2 days in Hong Kong, 9 of us continued on to Shanghai for the 2nd stop on the NJC China tour. We were thrilled to see our name in lights on the front of the East China University of Science and Technology (ECUST) building where the symposium was held. ECUST President Xu Hong Qian (in the middle of the front row) and his colleagues, Professors Bozhong Mu (at the left in the back row) and Chunyan Bao (at the right end of the front row), made us feel like visiting royalty with their welcome. The programming was top-notch, with interesting lectures on a diverse variety of topics by NJC Board members and invited speakers Professors Yi Yang (ECUST), Guoxin Jin (Fudan University) and Dawei Ma (Shanghai Institute of Organic Chemistry). Biological chemistry, chemical methodology & reactivity, organization were the themes of the session. Before the symposium opening, I gave a course for the students and younger researchers on writing up their research results for publication in scientific journals. After the serious scientific business began, the non-less-serious business of socializing, at a lovely Chinese banquet (with numerous toasts) hosted by Prof. Qian. 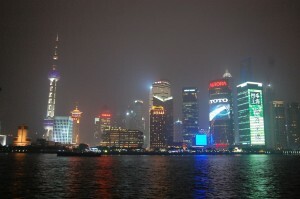 For those of us who were still feeling energetic, our hosts took us for a visit to the famous Bund area of Shanghai, where we admired the night lights. Thursday was our “day off” and a chance to do a little sightseeing. Two lovely ladies from ECUST were our guides for the morning. 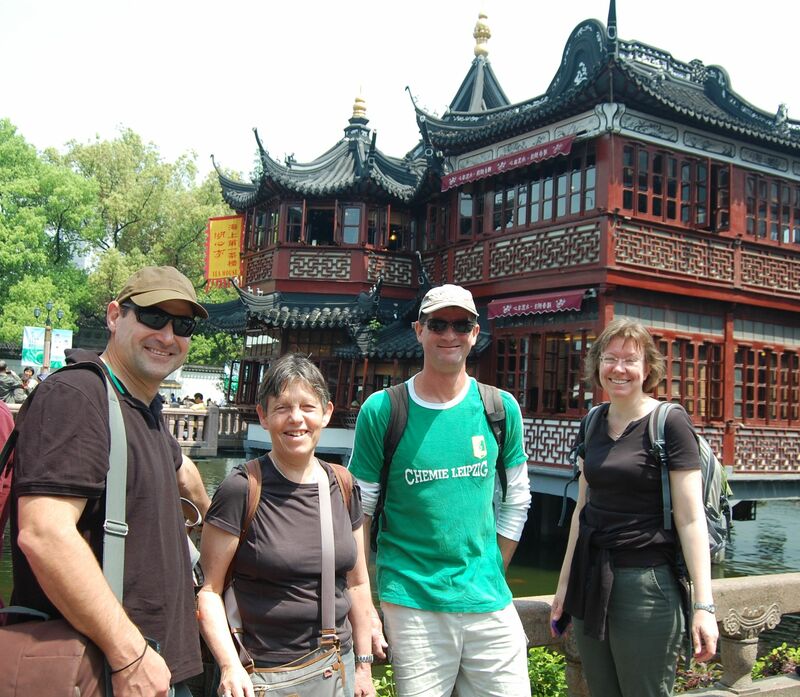 We bargained in the souvenir shops, visited the famous Yu Yuan Garden, then lunched in a nearby restaurant, before flying to our next, and last, stop of Beijing. Left to right: NJC Board members Len Barbour, Odile Eisenstein, Peter Junk and Helen Hailes near the entrance to the Yu Yuan Garden. Check back soon to read about Beijing!